For all latest updates and news, see Home. Now that the London launch is done, I will be travelling to New York on February 18 for the US launch at Spoonbill in Brooklyn, NYC. Come by if you are in town! Over the past few months I have begun an aural-visual-textual collaboration with creative collective uferlos.Berlin Studio, involving live and performed readings of my writing and video work based on the soundscapes and music of TRACKs. 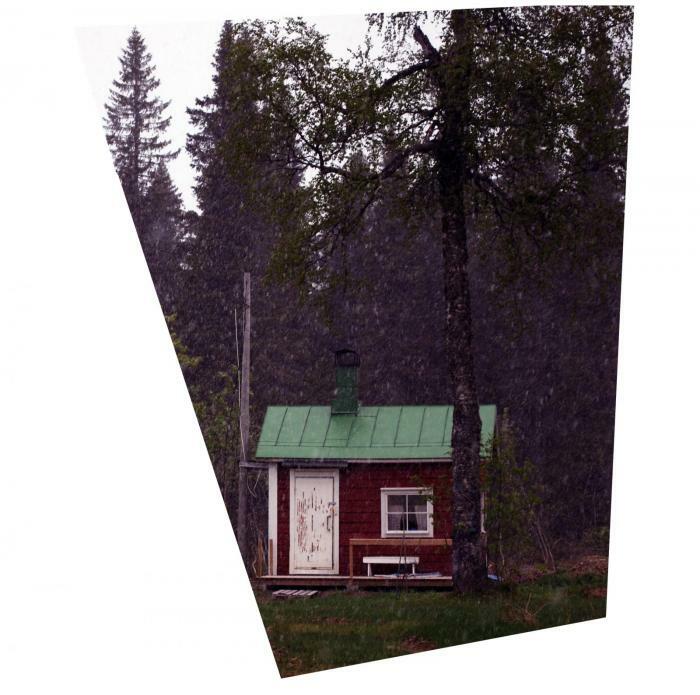 A very happy announcement: I’ve just signed a contract with the wonderful Repeater Books (UK) for a book of my short stories, essays, novel extracts and visuals, titled ‘Little Houses, Big Forests (or: desire is no light thing)’. Exciting start to the year. A very happy announcement: my novel manuscript is complete. I am now seeking publication. Time to come up for air. “Snow falls on lips; melts immediately. Then falls again as she continues on through the whiteness. Wind whisks away the utmost layer, over and over – slowly, imperceptibly, shrinking the mountain. Then, with the next shiver of snow, the mountain grows again, just as imperceptibly. Footprints last only a few breaths; breaths that form icicles before dropping to earth to be disintegrated, then formed again with the next breath. These loops of disintegration, happening over and over, seem identical each time. Looking closer, listening closer, with a cheek pressed hot against the surface, each loop brings a subtle change to the disintegration. Each melting, whisking, growing and breathing contain a subtle uniqueness that can never last and will never be repeated in exactly the same way. …a disparate collection of digital knick knacks in my head right now. 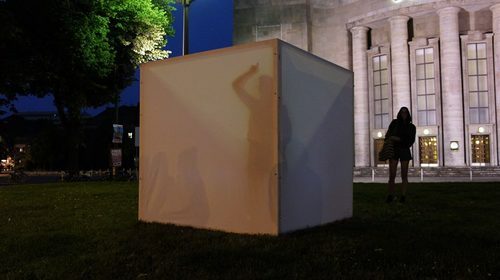 On Wednesday October 23, 6pm, I will be performing the first public reading from my new work ‘In the dark, dark, room’. 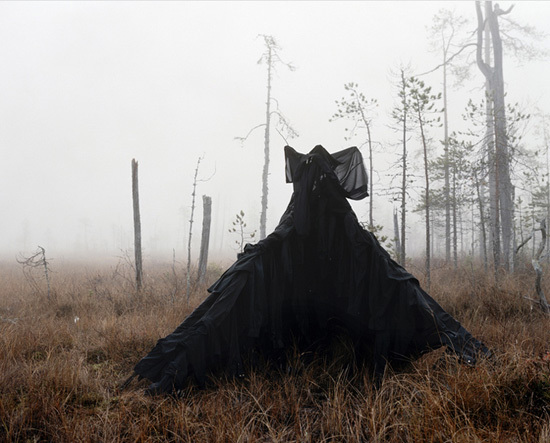 Also performing on the evening are Michaela Davies and Clayton Thomas, with an electro-convulsive musical work titled ‘Involuntary Duet.’ The evening will also feature the haunting photography of Riitta Päiväläinen. This programme will take place at the ICI’s first apérici of the new academic year. 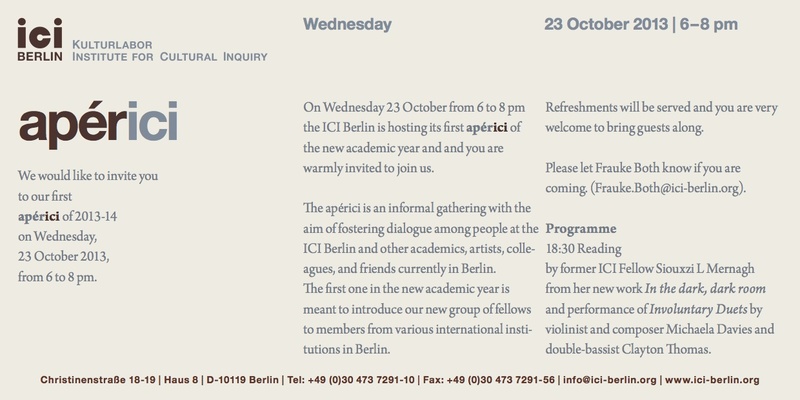 The apérici is an informal gathering with the aim of fostering dialogue among people at the ICI Berlin & other academics, artists, colleagues, & friends currently in Berlin. The Mustarinda House is situated on the second highest summit in the dark hills of Kainuu, near the Paljakka nature reserve. The surrounding area contains some completely untouched old-growth forests. 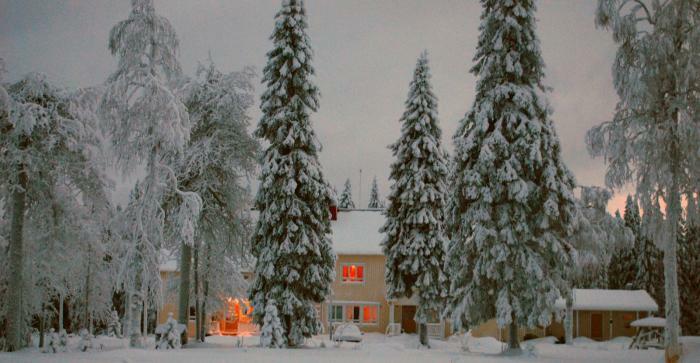 Paljakka and Mustarinda are also some of Finland’s snowiest areas. Mustarinda is the only inhabited house on the summit.